GREEN BAY, Wis. — Why should the Packers care that Rob Gronkowski called it quits? The Packers are now in direct competition with the Patriots for one of the top tight ends in next month’s NFL draft. And although Packers general manager Brian Gutekunst has two picks — Nos. 12 and 30 — before the Patriots are on the clock with the last pick in the first round, New England’s Bill Belichick has plenty of draft ammunition — 12 picks in all — to move up and steal one of those tight ends from Green Bay. 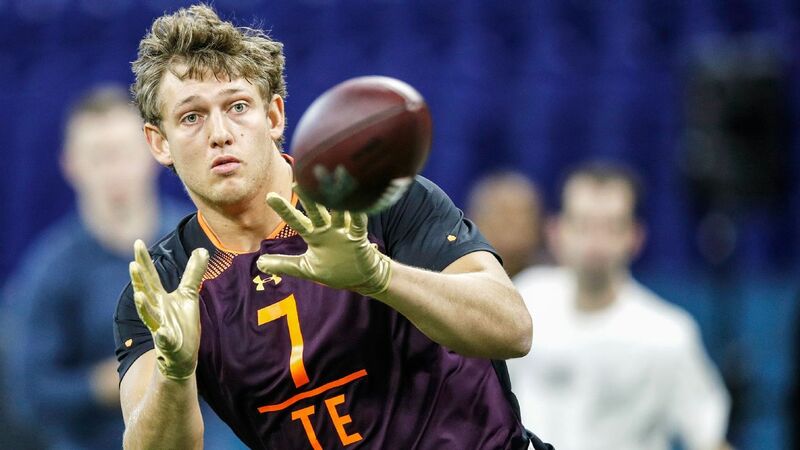 What’s more, the top two tight end prospects — Noah Fant and T.J. Hockenson — both come from the University of Iowa, where the Patriots have strong ties. Hawkeyes coach Kirk Ferentz served as Belichick’s offensive line coach with the Cleveland Browns. One of Ferentz’s sons, Brian, worked for Belichick on the Patriots’ coaching staff for four seasons before he returned to Iowa. Another son, James, is an offensive lineman for the Patriots. Without Gronkowski, the Patriots’ current tight ends are: Stephen Anderson, Jacob Hollister, Ryan Izzo and Matt LaCosse — a foursome with 71 combined career catches. Gronkowski had 71-plus receptions on his own in a season three times.